Former Mayor Atty. Amenodin U. Sumagayan Assemblyman, 1st District, Lanao del Sur. Atty. Amenodin Usodan Sumagayan is the first-born child of District Engr. Titingalangit Sumagayan and moro historian Dean Dr. Aminah Usodan-Sumagayan. Raised in the Academic Community of the Mindanao State University (MSU) Main Campus, in Marawi City, home to excellent professors and scholars from the MINSUPALA region, Amenodin was exposed to academic and extra curricular excellence, cultural integration, and high sense of appreciation for the potential of the Bangsamoro region as a child. Blessed with holistic education from MSU, he completed his basic education at the MSU-ILS and MSU Science High School as a top student, an athlete, and a student leader. He was an honor student and finished elementary with an Outstanding Student Award and garnered from the MSU Science High School the prestigious Best Research Award. Among many sports he played, he excelled as team captain of the high school volleyball team and was also table tennis varsity player. He showed early signs of leadership excellence as Corps Commander of the MSU Science High School CAT Cadet Corps. Inspired by his public servant parents, he completed a Bachelors degree in Management, became a lawyer, and entered public service himself. 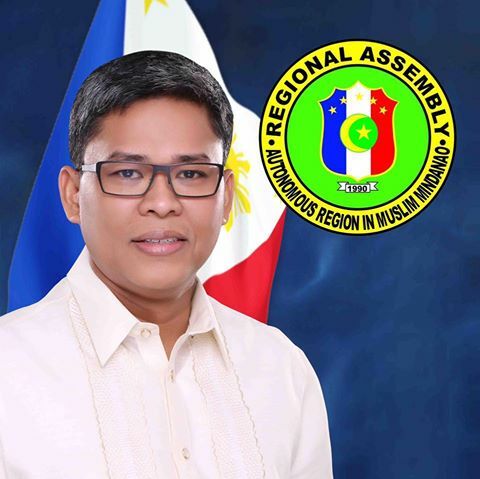 Instead of choosing the path of becoming a practicing attorney in the big cities, he opted to return to his hometown in Taraka, Lanao de Sur to serve as Municipal Mayor. He is husband to an excellent moro lady Nashiba Gandamra-Sumagayan who was a professor for English Language and Literature at the Mindanao State University College of Social Sciences and Humanities. They are parents to 6 children who are all doing very well as students in various levels at the Mindanao State University. – Organized sports and other extra curricular activities. Municipal Mayor, Municipality of Taraka, Lanao del Sur (2004-2007; 2007-2010; 2010-2013). Certificate of Recognition, Success of the Real Property Tax Collection Program, having obtained 100.28% collection efficiency against the assigned Annual Target of P162, 865.00 and rank 23rd for Calendar Year 2005 in the Municipal Level (March 14, 2006). 2. Implemented livelihood projects for subsistence farmers and marginalized constituents in the municipality. 3. Ensured peace and order thru frequent Peace and Order Council meetings and close supervision of the PNP. Acquired two (2) mobile patrol vehicles for the local PNP. Improved the health and sanitation situation in every barangay. Established a functioning Rural Health Unit with free medicines provided by the municipality. Constructed a BIRTHING CLINIC funded by the Zuellig Family Foundation. Facilitated the donation of an AMBULANCE from PCSO. Constructed a Potable Water System Project in the municipality thru the assistance of LWUA. Constructed of a PUBLIC MARKET along the national road. Improved the quality of education in the Municipality with the assistance of Synergeia Foundation. Barangay Chairmen, School Administrators, Members of the Local School Board and Teachers retrained with the help of education experts. Organized Lakbay Aral for Brgy. Chairmen and Municipal Officials with assistance of Synergeia Foundation and the City of Valenzuela. Completed the concreting of many un-passable barangays, municipal and provincial roads thru the assistance of our Provincial Governor. Constructed MULTI PURPOSE BUILDINGS and SCHOOL BUILDINGS utilizing local funds with counterpart funds from the district Representative. Established linkages with other government agencies, local government units, and community development foundations. Ensured continuous promotion of the municipality through TV appearances and presence in the worldwide web through taraka.gov.ph.